In this edition of Five Thoughts, Mo Nuwwarah talks Poker Hall of Fame and the fight between Busquet and Alvarado. I made a family trip to Las Vegas when I was 14, the summer before I started eighth grade. We didn't do a whole lot except see some relatives in the few days we were there, and I remember just being eager to get out of there so we could get back on the road to Universal Studios in California. By the time I made it back to Sin City 10 years later, it's safe to say I was a little more eager to enjoy the place. I made the 20-odd hour drive with my mom and sister to visit an aunt who had recently moved there, so I steered clear of the debauchery and stuck to sightseeing and poker playing. One of the places I was most excited to hit up was Binion's, where I could see the setting of the old World Series of Poker broadcasts I had seen infinite times. We headed down there and I was pleasantly surprised to see the photos of the Poker Hall of Fame (PHOF) adorning the walls outside the poker room. There are still a bunch of pictures somewhere on my Facebook of me — with a full head of hair, if you can believe that — standing in front of the photos and the framed blue felt pointing at the signatures of my favorite players (Barry Greenstein!). Now, covering the game for a living, I've gotten to see many of those names up close. The wall of legends inducted two more members this week. John Juanda and Jen Harman took their places in the PHOF, becoming the 49th and 50th members. Each has a lengthy, strong list of accomplishments, with Juanda having long been one of the most successful tournament players in the world and Harman having a successful history competing in some of the biggest cash games around. It's safe to say no PHOF would be complete without them. Of course, their inclusion comes at the expense of a slew of other candidates, including famed tournament director Matt Savage and the late David "Devilfish" Ulliott. The name I was most surprised to see miss the cut, though, was Carlos Mortensen. On the PokerNews Podcast, Rich Ryan and Donnie Peters debated the Spaniard's merits, and I have to side with Ryan. I think Mortensen should be a slam dunk. The guy has won the WSOP Main Event and three World Poker Tour titles, including the WPT World Championship. Tournament résumés don't get much better than that, and as I've noted in this space in the past, it's difficult to judge players' cash game accomplishments for myriad reasons that should be pretty obvious. John Duthie recently penned an op-ed here on PokerNews in which he argued that the PHOF is essentially invalid until more international players are enshrined. Certainly, poker was once a very American game and history of it is very American. But, times have changed considerably, and especially nowadays, many of the game's best players are foreigners competing in some of the toughest tournaments in the world in Europe. Duthie's point about the absence of non-American talent is a good one, and it also makes me wonder about the players who crushed online and never cared much to make their presences felt in the ways that would lead to PHOF enshrinement. Will Patrik Antonius be a hall of famer? There are so many questions and uncertainties around the PHOF. That feeling of history I got walking through Binion's was amazing, but if future generations of poker players and fans are to get that same feeling, I hope some things about the PHOF get clarified and fixed. WSOP Europe wrapped up as last week wound down, with a total of 10 bracelets claimed over more than a two-week period in Berlin. Most notable of those were the ones claimed in the €10,450 Main Event and the €25,600 High Roller. Kevin "ImaLuckSac" MacPhee — not to be confused with Dylan "ImaLucSac" Linde of course — claimed the former tournament, his second big win in Berlin after taking down a European Poker Tour Main Event there in 2010. MacPhee grabbed his second bracelet of the year and moved to more than $5 million in career live cashes with the €883,000 win. At the WSOP this summer, he cashed seven times for more than $650,000 and 2015 has been his biggest year yet in terms of overall winnings. One player who had an even bigger summer than MacPhee was former Main Event champ Jonathan Duhamel. The Canadian won the $111,111 One Drop for just shy of $4 million this summer in Las Vegas and further flexed his high-rolling muscle in the WSOP Europe High Roller, topping a field of 64 for a €554,395 score. He may not have had to beat many, but the final table included some of the toughest players on the planet, such as Fedor Holz and Mustapha Kanit. In an era when many Main Event champions had faded from view or just rested on their laurels in semi-retirement, Duhamel has continued to grind at a high level. He has nearly equaled his $8.9 million Main Event cash with north of $8.3 million in the years since. 3. Coca Cleared By WSOP? Each summer at the WSOP, there are inevitable issues that crop up. This year saw one of the most serious ever as a firestorm of controversy surrounded the $10,000 Heads-Up Championship. The event, eventually won by Keith Lehr, saw a group of players accuse fifth-place finisher Valeriu Coca of cheating. The Moldavian, apparently unaware or unfazed by the controversy, could be found casually playing Chinese poker in the Pavilion afterward. He laughed off the accusations in an interview with PokerNews. "They are not gentlemen," he said. "They lose and they think they must have been cheated. They are just looking for a way to explain why such strong players would lose to a much weaker one." He expressed confidence that an investigation would clear his name. He also denied reports that the WSOP had confiscated his payout, which is strange because the recent statement from the WSOP said that Coca could now receive his payout. All in all, the sparse statement is a fairly unsatisfying ending to a strange situation. 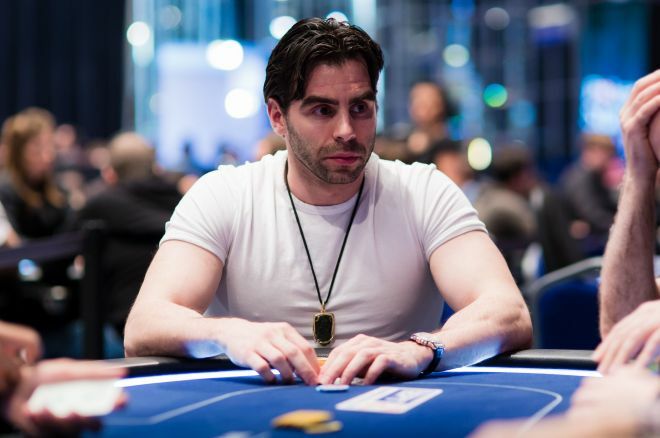 EPT Malta is now in full swing, where the Main Event has already gotten well into Day 4. At the time of writing, just 16/651 runners remain in contention for the €602,400 first-place prize. There, Sam Greenwood, Niall Farrell, and Kitty Kuo are some of the headliners, though all three trail Alexander Ivarsson and his stack of more than 100 big blinds. As for some of the notable events that have already ended, a couple of the usual suspects shipped two of the high roller events. Mike "Timex" McDonald pocketed just short of €500,000 in the €25,000 High Roller, while Steve O'Dwyer took down the €10,200 Single-Day High Roller for €327,030. The two high-rolling bosses continue to pile up the winnings, with Timex moving north of $12,000,000 in career live cashes in addition to his vast online earnings, while O'Dwyer is now creeping up on $11,000,000 in cashes. The high roller events are always some of the most fun events to follow, and you can check out coverage of the €10,000 High Roller — led by phenom Adrian Mateos — and the Main Event by clicking here. First, we had Lex Veldhuis vs. Bertrand "ElkY" Grospellier, and now we're apparently getting Olivier Busquet vs. JC Alvarado. Busquet put out a call for challengers on Twitter and Alvarado answered the call, and the two have agreed to meet in a mixed martial arts scrap next April. Alvarado has apparently had some training as he identified himself as having reached blue belt level in Brazilian jiu-jitsu. Busquet meanwhile, will appear to have a size advantage as he will apparently be allowed to weigh in about 22 pounds heavier than his foe. As an avid combat sports fan, I for one can't wait to see this go down. The two combatants apparently view the odds as relatively even since Busquet is putting up $120,000 against Alvarado's $150,000. Without knowing much about Busquet's background in combat sports, I'd be inclined to agree. Alvarado may be the more experienced practitioner, but six months can fit in a lot of training for a motivated athlete. And size advantages can go a long way if skill level is relatively even. Hitting the pads is great, but whoever gets their grappling chops the sharpest will probably take it. I've seen a good amount of lower-level MMA, and the ground is where these tend to be decided.